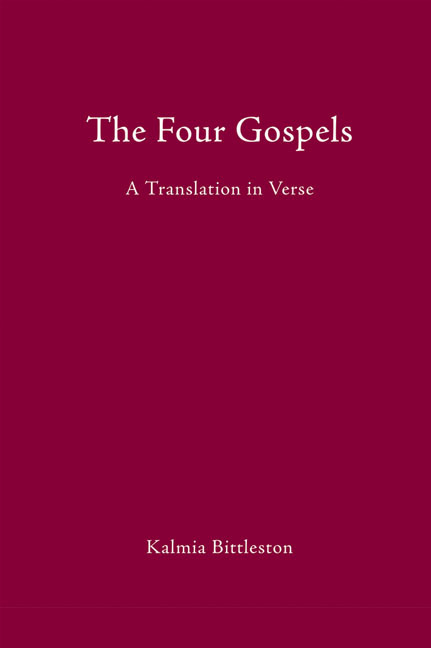 An alternative translation in lyrical verse of the Gospels of Matthew, Mark, Luke and John. The Gospels of Matthew, Mark, Luke and John have been translated many times into many languages. 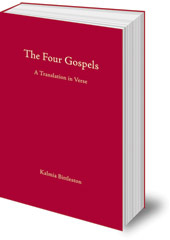 Kalmia Bittleston, an ordained priest of the Christian Community, spent the last ten years of her life translating the classic texts from the original Greek. But hers is a different kind of translation: at once lyrical and down-to-earth, she adopted a unique verse style which she felt would best convey the meaning and structure of the Gospels. The familiar words are brought afresh to the reader in this clear and direct rendering. Previously published as separate books, her translations are brought together in one handsome volume for the first time. Kalmia Bittleston was born in 1909 in South Africa. She trained for priesthood in The Christian Community during the Second World War and was ordained in 1944. She worked in Leeds and London until her death in 1989.